After months of rich, indulgent comfort food, we’re looking forward to some simpler fare. Still delicious, just a little more nutritious. But that doesn’t have to mean relying primarily on lettuce salads. Incorporating other wholesome veggies and lean proteins can help give your meals a more wholesome feel. By the way of some delicious trial and error, we discovered a winning combo: our applewood smoked chicken and WHOLLY GUACAMOLE® products. Our Applewood Smoked Chicken is 98% fat-free and 100% free from gluten, artificial flavors and colors, binders, fillers and added MSG, making it a nutritious yet flavorful choice. Meanwhile, WHOLLY GUACAMOLE® products are made with 100% authentic Haas avocados, which means they are chock-full of ‘good fats’ (called monounsaturated fats), vitamins, minerals and nutrients. WHOLLY GUACAMOLE® products are also seasoned with everything from lime juice and fresh poblano peppers to garlic and cilantro to make them a flavor haven for your taste buds. Put them together and you’ve got the start of something that’s not only full of nourishing ingredients, but also great flavor and texture. See how we turned this delightful duo into full-blown recipes. You’ll likely never look at plain eggs and toast the same again after layering them with WHOLLY GUACAMOLE® classic, our applewood smoked chicken and blanched asparagus. The guacamole adds a smooth, velvety touch to crisp toast and asparagus, while the chicken gives it some sweetness. This recipe calls for poached eggs, but fried and scrambled work nicely too. You could also swap out Italian bread for whole grain or whole wheat. 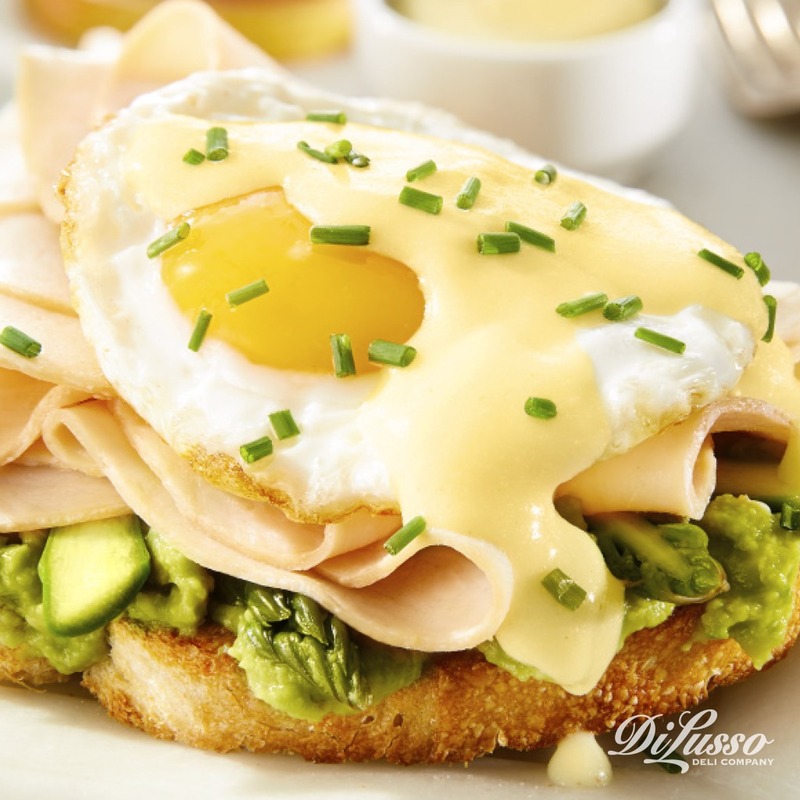 For a little extra flavor, drizzle with buttery hollandaise sauce. For lunch, this one might just do the trick. Layered with our delightful duo plus juicy tomatoes and fragrant cilantro leaves, it’s full of fresh and filling ingredients that’ll help you finish the day on a strong note. Try making a few of these on the weekend. Then freeze and reheat throughout the week for easy on-the-go lunches. Lastly, we’ve got our eyes on this toasted delight for dinner. A few simple ingredients create this intricate combination of flavors and textures. Toasted Kaiser buns lay a warm, crispy foundation while fresh arugula gives this sandwich a slightly peppery flavor. Roasted red pepper strips add something garlicky and crumbled feta adds something a little tangier. 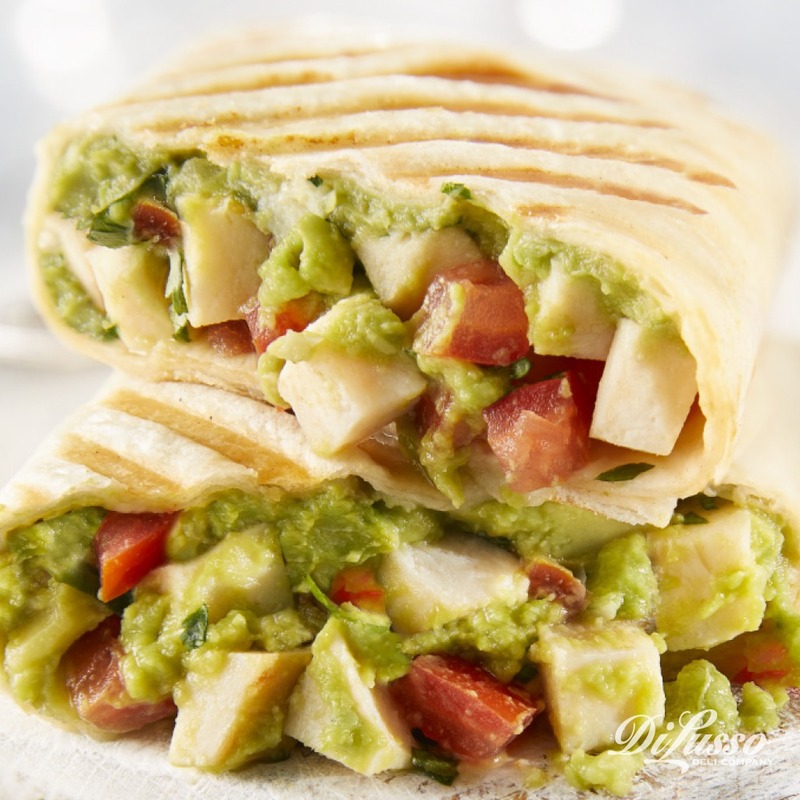 And last but not least, our applewood smoked chicken sweetens the deal while WHOLLY GUACAMOLE® classic pulls it all together with a creamy finish. As the weather warms, we can’t wait to try toasting this sandwich on the grill.